Are Brazil’s events returning to strength? Provided you haven’t been running the country in the past 10 years, things are looking increasingly positive for the people of Brazil. On Tuesday, the president of the Central Bank of Brazil Ilan Goldfajn, said the country’s economy could expand beyond the otherwise “well-calibrated” 2.6 per cent forecasted for 2018. Speaking at an event in São Paulo, Goldfajn said that the nation’s recovery from the deepest recession in decades looks consistent, despite recent volatility in economic activity readings. According to the UFI Global Exhibition Barometer of January 2018, the Brazilian fair market presents a positive outlook for growth this year. 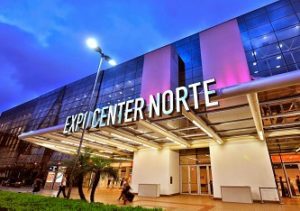 Eighty-two per cent of companies surveyed believe they will have an increase in their income, and of the 17 markets analysed internationally, Brazil is fifth in terms of greatest operational gains in the exhibition industry. Understandably, the most pressing exhibition industry issue for one third of Brazil’s entrepreneurs remains the state of the local economy, according to the Barometer, which is a leading concern for a quarter of the industry elsewhere in the world. Latin America’s largest economy has traditionally struggled with inflation, and this is perhaps the main reason why – again in contrast with the many other countries – Brazilian organisers surveyed show little interest in expanding their activity abroad. In countries such as Great Britain and the Middle East only a third of organisers claim to be interested in focusing their activity only in their country. 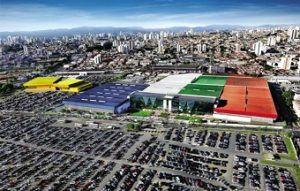 Brazil’s trade fair industry depends very much on what happens internally in the country, but how long for and who will capitalise when the recovery enables organisers to look outwards again? Aside from Reed Exhibitions and UBM, ten other multinationals operate in Brazil: Messe Dusseldorf, Hannover Fairs, Global Wind Energy Council, Tarsus, BMI, Nurbergmesse, Clarion, GL Events, Informa and Fiera Milano. 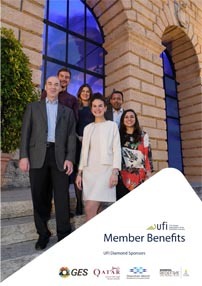 “My opinion is that international companies are aware that investment decisions should not depend on temporary conjunctures but on a longer-term vision and for this reason it is clear that the relative bad situation of Brazil cannot be interpreted as alarm bells to leave the market, but to understand business situations and to wait for an improvement,” said UFI’s Latin American regional manager Ana Maria Arango. One thing counting against them is the lack of rigour when it comes to the basis for decision making. Auditing of shows is rare, as is the broader collection of data in the region. They may simply not have the resources. Latin America’s otherwise fractured marketplace means 78 per cent of fairs are organised by companies that make a single event, while nine per cent of the events are developed by organisers wth two fairs in their portfolio and seven per cent are companies with three to five events. The largest percentage of fairs have a size of less than 5,000 square meters (24%), while 18% have a size between five and ten thousand square meters, and 19 per cent between 10 and 20 thousand square meters. “These indicators show us a still heterogeneous market, ready to develop in terms of size of events and the consolidation of industry players at the regional level,” says Ana Maria. But if the upswing follows political stability, perhaps we’ll be seeing a lot more news coming out of Brazil once again.